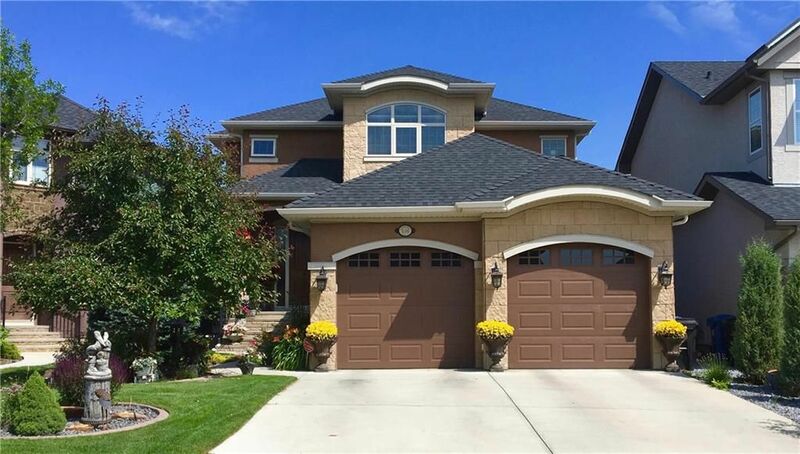 This elegant 2 storey CALIFORNIA home is perfectly situated in the prestigious Evergreen Estates and offers over 3,700 sqft of developed space. Gorgeous flooring welcomes you into the homes open concept floor plan. The main level features 9’ ceilings, 8’ doors, hand scraped engineered hardwood flooring, & built in speakers. The kitchen is stunning and includes granite counters, stainless steel appliances, silgranit sink, eating bar, garburator, & walk in pantry. Formal dining room, living room with built in shelving, breakfast nook with direct access to the back deck, built in desk nook, laundry room, 2pc bath, & locker style mud room complete the main floor. 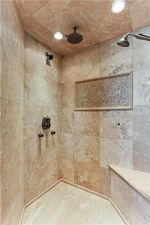 Master retreat has a walk in closet with built in organizers & a spa inspired 7pc en suite that features 10’ ceilings, dual sinks, 6’ soaker tub, heated floors, & shower with 10m glass, body jets, wand, rain shower head, & bench. 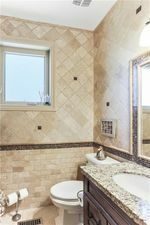 2 additional bedrooms with ample closet space, loft with built in desk/shelving, & unique 5pc guest bath with dual sinks & 6’ soaker tub are located on the upper level. Fully developed WALK OUT basement features 9’ ceilings, built in speakers, & radiant in-floor heat that is complete with a 97% efficiency state of the art combo boiler (tankless for domestic hot water usage). It is home to the 4th bedroom, 4pc bath, family room, games room, media room, & wet bar. 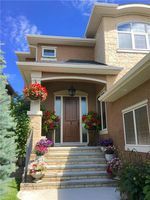 Extensive and well maintained landscaping includes mature trees, patio, irrigation system, pergola, & deck. Steps to Fish Creek Park, schools, shopping & public transit.